Connect for Success® is a nonprofit organization created to reduce employee turnover, increase productivity and support career advancement by reducing the obstacles and challenges that keep employees from performing their best at work. We achieve this by providing personalized coaching and connecting employees to the right support available to them by partnering with businesses and other resources to scale innovative employment strategies that improve retention, attendance, engagement, and productivity, collectively contributing to a thriving workforce that benefits employers, employees, and the community alike. Employers collaborate with their communities to invest in their workforce, resulting in better jobs and inclusive economic growth in Washington State. Connection for Success® is a part of a national organization WorkLab Innovations which supports the advancement, dissemination, and growth of strategies and programs that improve the retention of lower-wage, front-line employees and increase employee engagement. They scale their employer-led Sustainable Workforce Model by working with local nonprofit organizations for the benefit of employers, employees, and communities across the U.S. WorkLab spark smart investments in talent strategies as a learning, innovation, and networking hub for businesses, human resource managers, and workforce development. The purpose of Connect for Success® is to provide a trusted resource where employees receive personalized support and connection to resources and solutions that help resolve life issues, empowering employees to have clear focus at work, maintain gainful employment, and enhance their career growth potential. Creating a positive and lasting difference in people’s lives. People. Planet. Profit. Our values are to improve employee economic status and overall quality of life and produce socially responsible employee retention and ROI to participating Employers. Lars Nowack has extensive and varied experience in the non-profit sector and over the last 17 years has lead two different organizations through multiple transitions, mergers, and growth. He specializes in collaborative solutions, and community outreach. Over the past decade, Nowack has developed and coordinated over $18 million in foundation, local, state, federal grants, and social venture funding. Nowack is active in community service, serving on various boards and is a passionate believer in the equal opportunity for all citizens to be self-sufficient. 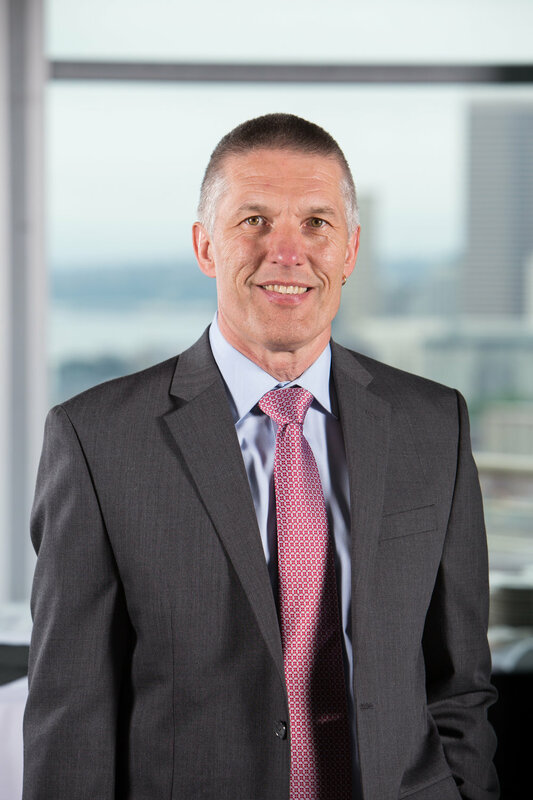 An avid biker, hiker, ultimate Frisbee and soccer player, Lars lives in Seattle, WA and enjoys sharing the benefits of a vibrant city culture and the natural beauty that Washington State has to offer with his two children, friends and family. Ruth came to Connect for Success® in 2018, bringing with her 14 years of experience in workforce development design, development and implementation. Her experience ranges from Peace Corps in the mountains of Guatemala to managing statewide self-sufficiency programs and everything in-between. She understands the workforce development system and how to affect real change, both at the grassroots as well as at a policy and strategic planning level. Her expertise is relationship building and connecting resources as well as developing programs to fit the needs of a population in pursuit of self sufficiency and stability. She's an avid hiker, dedicated mother of two and amateur photographer, Ruth spends her free time with her family, enjoying the great outdoors. Kate comes to Connect for Success® with a background in workforce development and community education with experience leading and managing initiatives focused on community member’s economic success and educational attainment. After earning her Master’s in Education, she decided to join the AmeriCorps team in Denver to work within lower socioeconomic neighborhoods to gain a stronger understanding of the educational and resource access available to the community. This work in community engagement fueled her interest in continuing her work in non-profit education and strategic partnerships. In addition, she has consistently worked within community education and workforce development. She is an advocate for connecting community members with the skills, resources and opportunities needed to advance to self-sufficiency and economic happiness. She brings her enthusiasm and experience in workforce initiatives and adult education and training to Connect for Success.